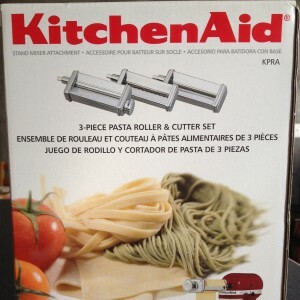 I recently purchased the KitchenAid Pasta Maker attachment for my stand mixer and had been dying to try it out. I used a REALLY simple pasta recipe for my test batch and it was amazing! I was shocked at how quickly fresh pasta cooks- way faster than store bought dried pasta- and how much lighter and tastier it is. 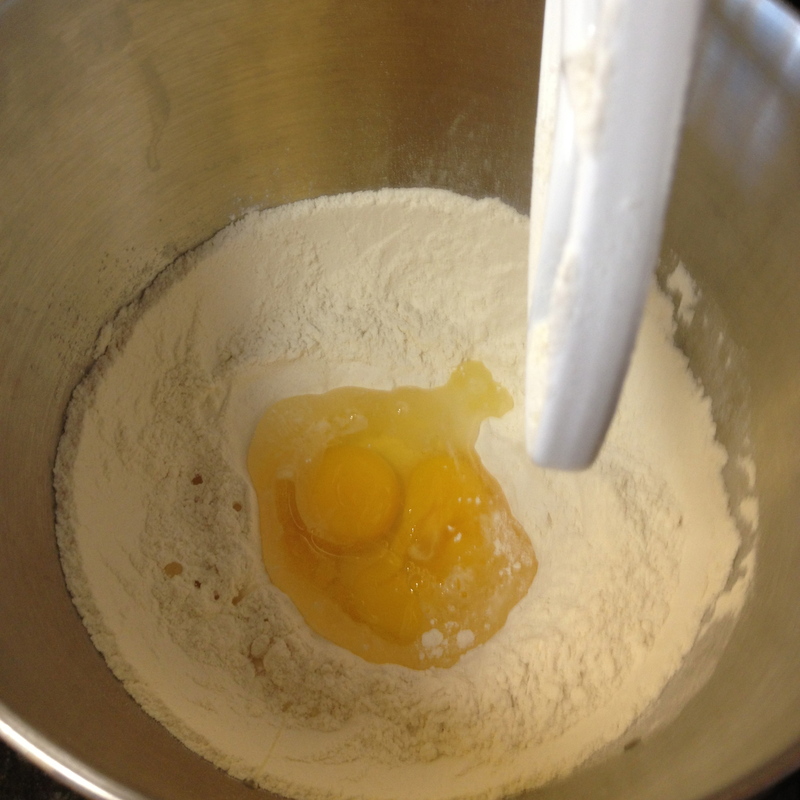 I am definitely planning to experiment with more recipes so stay tuned. 1. Combine salt and flour in a mixer thoroughly. 2. Add eggs and olive oil to the center of the dry ingredients and mix completely. 3. Knead dough for 5-10 minutes on a clean, floured surface. 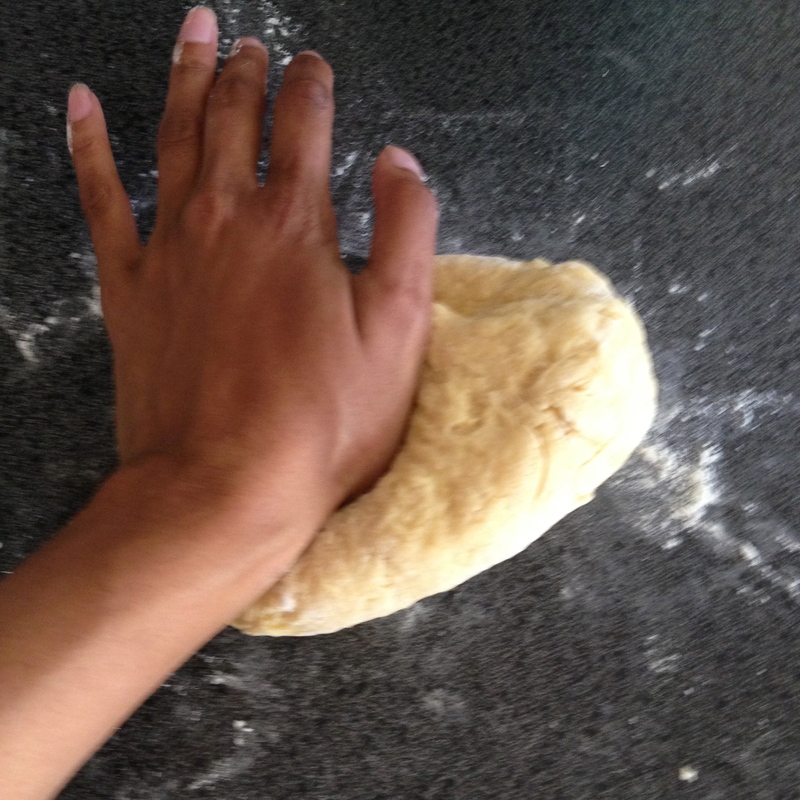 Make sure to really knead the dough or it will not form the right consistency. 4. Wrap in plastic wrap and allow the dough to sit for at least one hour. 6. 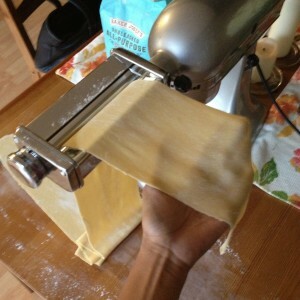 Feed dough through the maker 3 times at setting 1, folding into thirds after pass. 7. Continue to feed dough through pasta maker, twice at each setting. 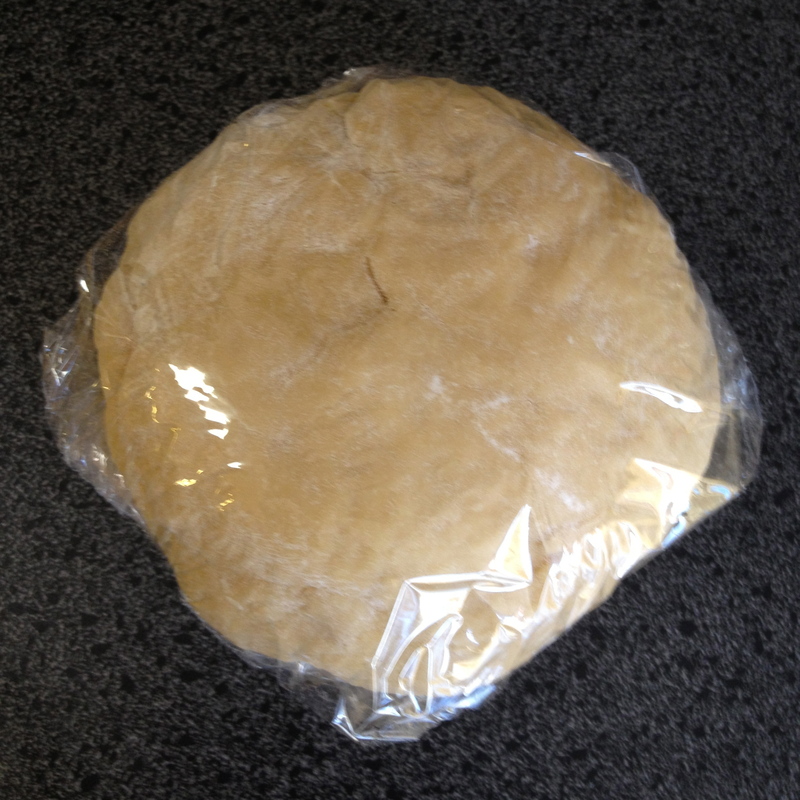 Flour dough heavily to avoid sticking. 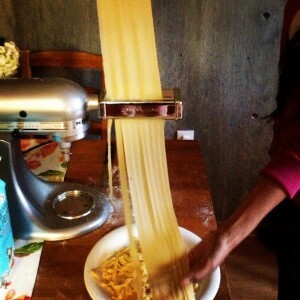 I stopped at a level 7 thinness, but as a general rule of thumb, the thinner the pasta, the tastier it is. 8. 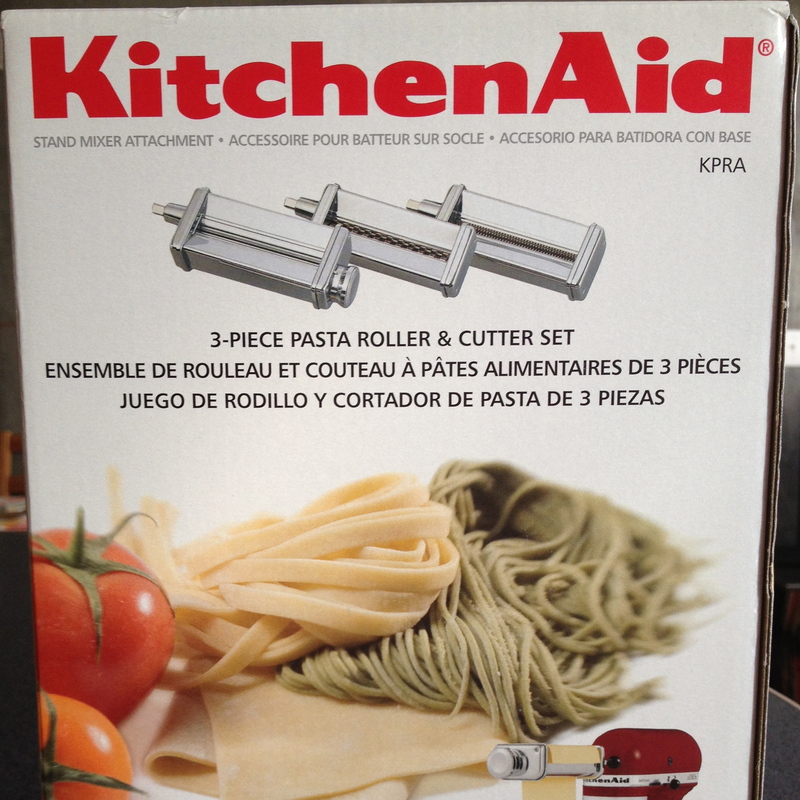 Cut pasta using fettuccine cutter attachment (or into any other pasta shape desired). 9. 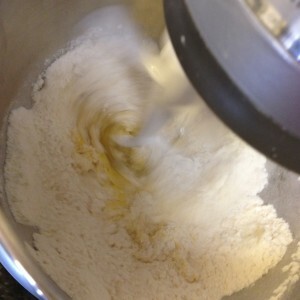 Boil a large pot of water and salt heavily. The water should be very salty (like the ocean). 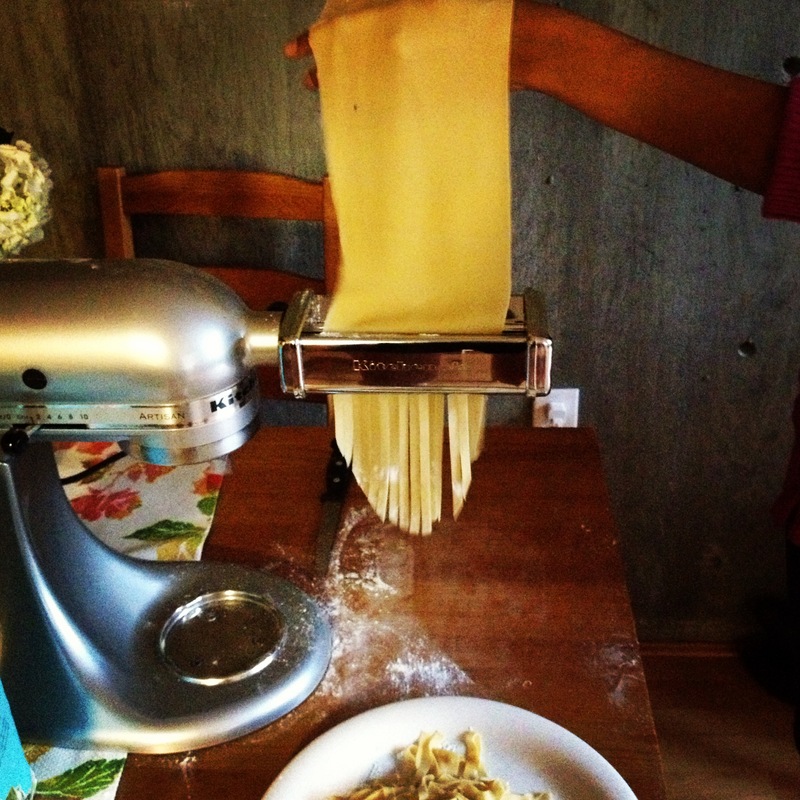 Don’t worry, the pasta won’t absorb most of the salt. 10. 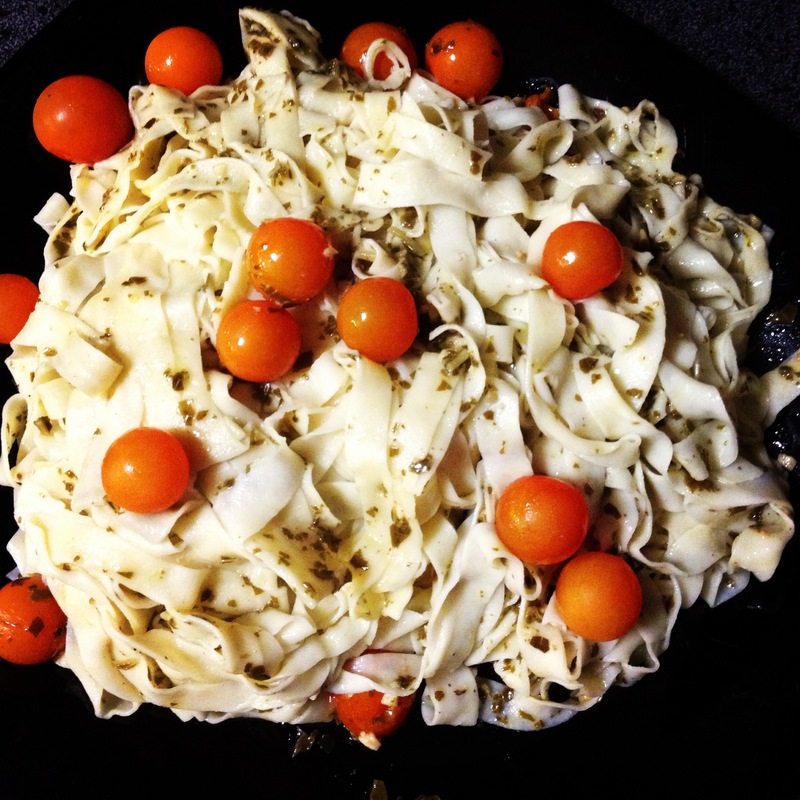 Cook pasta for 3-5 minutes until it turns white and is al dente. 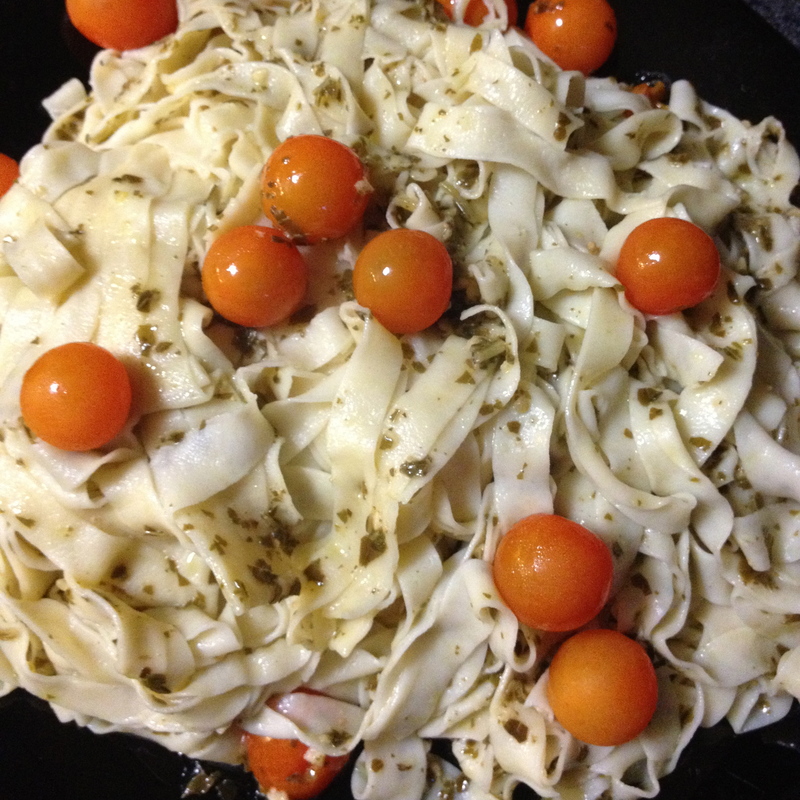 Serve with your favorite sauce, I used store bought pesto and cherry tomatoes, and enjoy!